Rosie Brown is helping to grow an innovative virtual business program for students and potential business leaders, thanks partly to help from the Small Business Mentoring Service. The Virtual Enterprise program allows students to experience running a business without the real risks. The products and money are virtual, but the communication, networking, development, enterprise skills, account managing, buying, selling and working with others are real. 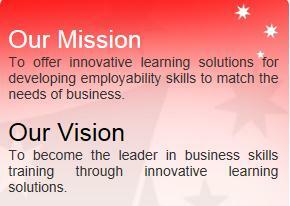 Virtual Enterprise Australia (VEA) is a not-for-profit company that manages the Virtual Enterprises (VEs) network. It trains and supports registered VEs, offering them business and regulatory service support. VEA also coordinates VE trading nationally (more than 100 VEs) and internationally (more than 5500). VEA links business and industry with the training organisations and young people through a mentoring arrangement. This business program can support participants at school, TAFE, university and in business. It is hands on, interactive and global. Rosie became Virtual Enterprise Australia (VEA) Chief Executive Officer three years ago and she really believes in the concept. She had worked in management roles for other not-for-profit organisations and wanted to help develop VEA. Rosie discovered SBMS at a Business Planning for Not-For-Profit Organisations seminar conducted by the Office of the Community Sector with Small Business Victoria and SBMS. • increase and further develop existing business skills. Rosie attended a Business Planning Workshop and gained value from working through the Business Planning for Not For Profit Organisations workbook. At the workshop she identified the ‘where-we-are-now’ profile of VEA. Rosie was then matched with mentor Elizabeth Raut. Elizabeth spent 10 years as the Victorian manager of the Australian Institute of Architects, where she worked on all aspects of running an organisation including financial management. Before this she worked in the health sector in a range of business-related roles. Rosie met Elizabeth four times over three months in a Business Planning for Nor-For-Profit Organisations mentoring package sponsored by the Office of Community Development, then had an extra session paid for by VEA. Rosie had arranged a strategic planning program with members of the VEA Board and staff, so used her SBMS sessions to prepare for it. First she conducted a brainstorming session with the staff and asked Board members to provide information for the ‘where-do-we-want-to-be’ segment of the business planning process. Using those ideas, Rosie and Elizabeth categorised them as organisational responsibility - funding position, service delivery/quality and marketing, and program related - partners, facilitators and other models. Elizabeth says she and Rosie reviewed the priorities identified by Directors and staff, and planned the program and time schedule for the Strategic Planning Day. They identified the focus of Rosie’s background presentation to be: Where VEA was now, where it wanted to be, current opportunities, potential initiatives and possible achievements, pathway choices and how to get where it wanted to be by the end of the year and the following two years. “In preparation for the Strategic Planning Day, I encouraged Rosie to strengthen her leadership role and articulate the way she thinks the organisation and its program should proceed,” Elizabeth says. After their mentoring sessions, Rosie put the Strategic Plan to the Board and it was approved with just one amendment. Rosie says that meeting was the most productive she had participated in over three years in the organisation, and the work she did with Elizabeth “certainly helped”. Rosie is confident the VEA model has great potential and will achieve its goals, which Elizabeth helped ensure were manageable. “Elizabeth helped me to be realistic about what we could achieve so yes I think we can achieve them,” she says. Educational institutions pay an annual subscription to VEA to join a virtual economy to teach practical business skills. The more subscribers it gets, the more funding it has to run and develop the program. Rather than profit, the goal is to grow and do things even better. Rosie says schools, TAFE colleges and registered training organisations could use the VEA platform and network to inspire confidence, initiative and entrepreneurial spirit in their students. Elizabeth said Rosie had gained confidence as CEO to lead the organisation in to the next phase of its development, as well as the clearly defined Strategic Plan for 2012-14, detailing strategies, actions, responsibilities, timelines and measures. Rosie had also taken a major step forward in getting the board to endorse her Strategic Plan.